LOS ANGELES (AP) — More than 60 adults and at least four juveniles were detained during a raid Wednesday at a vacant building without electricity in Hollywood where some people had been squatting, Los Angeles police said. 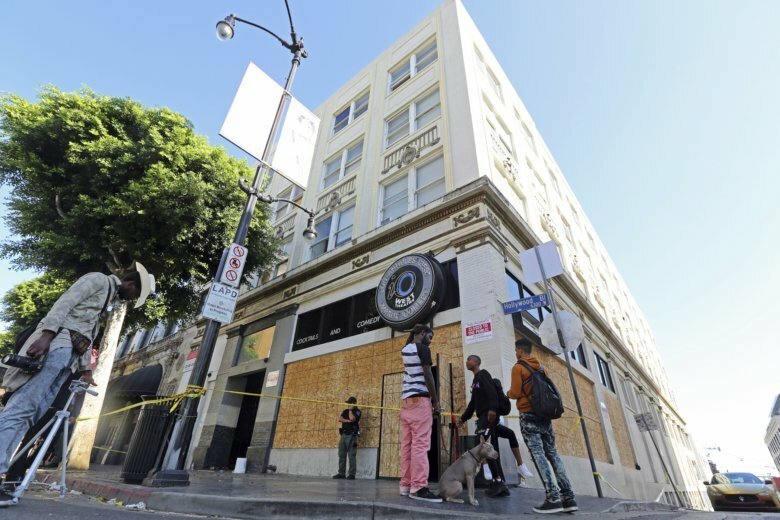 Jasmine Acosta, 25, told the Los Angeles Times that the space had recently turned into an artists’ community and many people had been living at the four-story building. Acosta said she had been staying there “on and off” for several months, and some of the residents had been trying to put up lights and repaint walls. “It’s just like a safe home that we made on the boulevard,” Acosta said. Cities across California have been cracking down on illegally converted spaces following the death of 36 people in a fire during an unlicensed concert at a dilapidated Oakland warehouse known as the “Ghost Ship.” Two men are facing involuntary manslaughter charges in connection with that blaze.